“In order to successfully confront the…challenges, we have to …become fully aware of where we are and what we are.” – Archbishop Demetrios, Keynote Address to 44th Biennial Clergy-Laity Congress July 2018. The speech to the Archons of Metropolitan Apostolos of Derkon (today’s resort villages of Durusu/Terkos, Turkey) reflects a distorted and overreaching reality of desperation to survive in a hostile land. It is incumbent on all of us living in the Orthodox Christian reality of the United States to be guided by the truth and to come to grips with correcting the irregular and uncanonical administrative situation here which impacts our missionary responsibilities as the Church. We are ill-served, compromised and diminished by continuing efforts to distort truth and fabricate history, remaining prisoners of myths and not assuming responsibility for the reality in which we live, work and pray. We must move forward from being janissaries on behalf of a distorted reality and become a unified and self-governing Church of Orthodox Christians. It is in this spirit that we reprint pgs. 293-294 of (Vol. 1) of the three volume history of the Greek Orthodox Archdiocese written by Dr. Paul Manolis. The title is: “The History of the Greek Church of America in Acts and Documents.” It was published in 2003 by Ambelos Press, Berkeley, California. ISBN 0-9724373-0-4 and is available on Amazon. 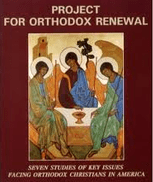 All Orthodox Christians in the U.S. but especially all servant leaders of the Church should read this work. We print these two pages to help the Archons, the Synods of the United States and Istanbul and especially Metropolitan Apostolos of Derkon better understand who we are, where we are, and what we are. This is a question of survival on our part as well as on the part of Istanbul. “The documents published herein chronicle in detail the history of the Greek Church of America (Greek Archdiocese of North and South America) from its disorganized origins, as an archdiocesan See of the Church of Greece, through its period of autonomy (1923-1930) to its establishment as an eparchial See of the Ecumenical Patriarchate. While the outline history of the Church is well known, for the first time there is brought to light the behind-the-scenes activity and the individuals who played major roles in determining the course of events. Chronicled herein is how the Church of America was created as an autonomous or independent Church in 1922, and how that autonomy was rescinded through a fabricated document with the collusion of the Ecumenical Patriarchate and the Greek Government. A careful reading of the documents, correspondence and reports will reveal the interest and concern of the Ecumenical Patriarchate, the Church of Greece and the Greek Government in the immigrants of the diaspora and their ecclesiastical and community organization. The extensive correspondence of the Greek Government with the Ecumenical Patriarchate concerning the churches of the diaspora raises many questions, not only of the relation between the Greek Government and the Ecumenical Patriarchate, but also the determined concern and interest of the Greek Government in maintaining some control over Hellenism (omogeneia) outside Greece. As will be seen, the decision to solve the problems of the turbulent division of the Greek communities in America in the 1920’s, due to the political and personality conflicts, was arrived at at a meeting of the representatives of the Ecumenical Patriarchate, the Church of Greece and the Greek Government. The plan that was unanimously and formally adopted at that meeting was successfully implemented by Archbishop Damaskinos of Corinth, who was selected as Patriarchal Exarch and representative to come to America with specific instructions. The fabricated document which abolished the autonomy of the Church of America was a circumvention or violation of the statutes of the incorporated Archdiocese of North and South America, which specifically provided that amendments to its constitution (or charter) could be made by a Clergy-Laity Congress or a committee duly appointed by the American Holy Synod. A careful reading of the minutes of the Holy Synod and the report of Archbishop Damaskinos reveal the manner in which the statutes were circumvented and the determined efforts of the then Archbishop and Bishops to preserve the autonomy of the Church for which they had labored. The minutes of the Holy Synod of the Church of America, from its first meeting in 1923 to its final meeting in 1930, are not only important for the history of the Church, but are also an important document for the history of Hellenism in America. The extensive report of Archbishop Damaskinos upon the conclusion of his mission as Patriarchal Exarch clearly reveals all the negotiations leading up to solving the divisions in the Church but also the path toward abolishing autonomy and creating the Church of America as an eparchy, or ecclesiastical See, of the Ecumenical Patriarchate. Finally, the dissertation by the Rev. James Nestor (Nestorides), which is included as an appendix, is the first attempt to write the history of the Church of America (1935). Nestor did not have available to him the documentation presented in the present volumes. Part of its value rests upon his use of contemporary newspaper accounts of the events that transpired. All reports and correspondence appear in this work as originally written. They have not been edited for clarity or for errors in spelling or grammar. In some cases, letters and other items have been excerpted or shortened. Each document contains a brief precis or description or its contents. Editorial Note: History was repeated by the unilateral dismemberment of the Archdiocese of North and South America; its division into “Metropolises” headed by auxiliaries to the Patriarchate; and the imposition of a Charter in violation of the amendment provisions of the Charter of 1977. This charter of the Archdiocese, which was characterized as a “gift from the Patriarchate”, was also created by circumvention and distortion. We must all be fully aware of these facts if we are to “become fully aware of where we are and what we are” … so that we can “successfully face the challenges we have”. Professor Paul G Manolis took an active part in the life of the Orthodox Church in United States for more than 50 years, on the local, diocesan, national and international level. For his service to the Church, he was named ‘Great Archon of the Ecumenical Patriarchate’ by Patriarch Athenagoras, awarded the Gold Cross of Mount Athos by the Ecumenical Patriarchate, a Knight Commander of the the Patriarchate of Jerusalem, and the medal of St. Paul from the Greek Archdiocese of America. He was first elected to the Mikro Sumboulio (Archdiocesan Council) in 1956 and served on that body for many years. He was chairman of the committee that created the Orthodox Observer newspaper for the Archdiocese, chairman of the committee which raised the statue of Patriarch Athenagoras at Hellenic College/Holy Cross School of Theology, served on committees for charter revision of the Archdiocese and was a representative of the Greek Archdiocese to the National Council of Churches of America. He was one of the founders of the Patriarch Athenagoras Orthodox Institute at the Graduate Theological at the University of California at Berkeley, and served as Director and President for many years. He also served as Adjunct Professor at the GTU. He was a graduate of the University of California (Berkeley), and completed his graduate studies at Harvard University, from where he was appointed a Junior Fellow at the Dumbarton Oaks Institute of Byzantine Studies. He is the author of numerous studies regarding the Church of America and American Hellenism. Together with his wife, Elene (Zahas) he resided in Piedmont, California. He was the father of four children: Alexandra, George, Damian, and Dimitri (deceased) and the grandfather of seven grandchildren. 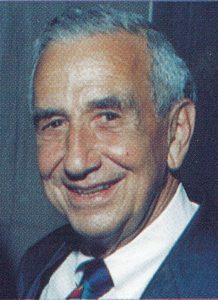 He was an American university administrator, and his career included the following posts: Executive secretary to United States Sen. William F. Knowland, Washington, 1954-1959. With Oakland (California) Tribune, 1959-1977, executive editor, 1965-1974, assistant general manager, 1968-1972, secretary Tribune Public Company, 1965-1977. President BenePlus of California, 1979. Vice president Hellenic American Development Corporation, 1980. Director Franklin Investment Company, Tribune Building Company. Besides authoring a comprehensive (three volume) History of the Greek Church in America: In Acts and Documents (Berkeley, CA: Ambelos Press, 2003), Mr. Manolis presented a key report in the workshops about Procedures for the Preservation of Parish Histories, convened in the 36th Biennial Clergy Laity Conference of the Greek Orthodox Archdiocese of America. The transcript of the report by Paul G. Manolis is available on-line. It includes guidelines for a systematic approach to compiling a parish history. It is rather unlikely that the present patriarch will change his deep rooted monolithic and ego-driven ideas and understanding of the modern Orthodox world. Like political despots, he likes to be considered the leader of 300,000 million Orthodox people, when in reality Orthodoxy is a decaying construct of antiquated precepts. Actions have consequences. Some are intended, others are not. 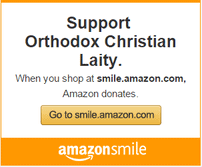 The “old world” Orthodox Churches have a “state sponsored” mindset. The Ecumenical Patriarchate controlled and was controlled by the State during the Byzantine Empire. The Church of Greece, is the State-sponsored religion of the Greek State. The Russian State and Church (Kyrill and Putin) work hand-in-hand to advance their own separate and common goals. Orthodox Churches within the boundaries of the “Roman/Byzantine” Empire share the same mindset. The US presents a challenge and offers opportunities as a Church/State separated environment. The government in the US neither supports nor exercises any control over Churches. The result is that the Church must rely entirely upon the voluntary participation and support of its adherents. Marginalizing the participation of the laity in the governance of the Church in the US sows the seeds of its decline. Erecting barriers to prevent the laity from having a “voice” in Church administration and governance serves only the interests of Hierarchs who value control over growth and syndiakonia (co-ministry). Sound familiar? When the Greek Government, the Church of Greece and the Ecumenical Patriarchate conspired to illegally remove the autonomy of the Church established by immigrants from the Old World…and, through successive actions further removed the effective participation and voice of the laity they showed their ignorance of the difference between a Church sponsored and a Church separated environment. The results were predictable. As usual you, Paul Manolis and others are right, but in reality everyone seems to be tending to their parochial interests and don’t care about anything ecclesiastical as we tumble toward anachronistic extinction. Eleftherios Venizelos and Meletios Metaxakis were cousins. Metaxakis was an arch mason (there was a Masonic funeral service held in the middle of the night in his cathedral in Alexandria where he lay in state) who bounced around from Archbishop of Athens, to Ecumenical Patriarch, to Patriarch of Alexandria. He even visited parishes in the United States. Venizelos might or might not have been a Mason, but he was definitely a secularist. Put all of this together and you get a view of the nasty underbelly of church politics as practiced by those who are in it to line their pockets and/or advance their own standing.